I am quite sure that many of us were awed by the amazing CGI depicted in the various Transformers movies over the past few years, although there are at times way too many things happening on the big screen itself, that it can be rather difficult to figure out who is hitting who, and which spare parts are being knocked out from one cybernetic lifeform to another. 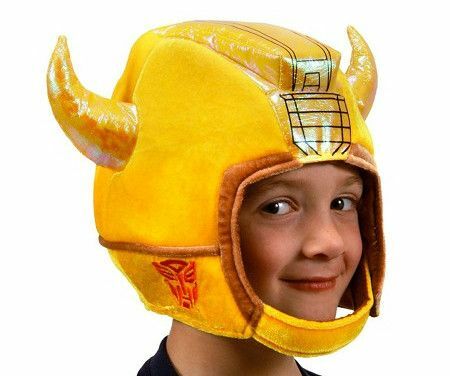 Make no mistake about it then on your identity as a Transformer this Halloween with the $27.95 Bumblebee Plush Helmet, where you can then work on rolling and flipping into your “vehicle form”, as your head is more or less a settled manner. It ought to be able to fit just about most of the heads out there.